Warm Cinnamon "Sugar" Cantaloupe Chunks with Nogurt. 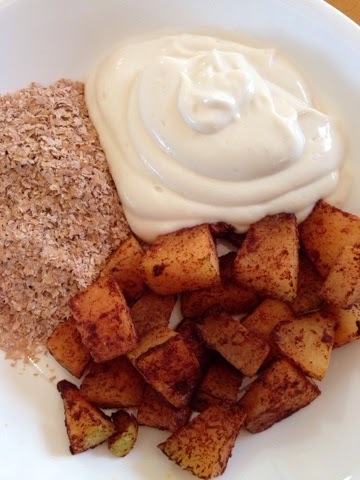 Warm Cinnamon "Sugar" Cantaloupe Chunks with Nogurt. Vegan, gluten-free option. 1. Preheat your broiler to high and line a baking sheet with non stick foil. 2. 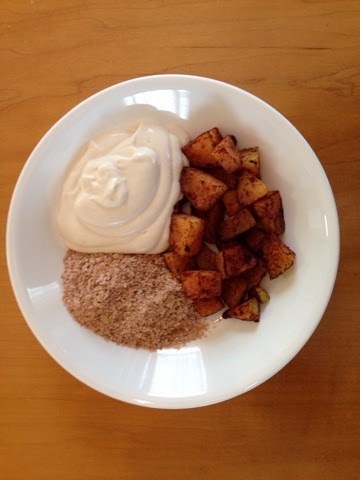 Place cantaloupe chunks in a medium size bowl and top with cinnamon and one packet stevia. 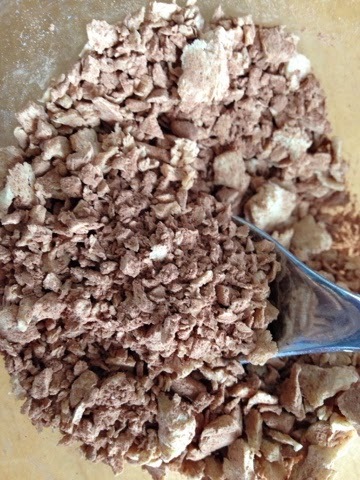 Stir well to thoroughly coat chunks with cinn stevia mixture. Spread chunks evenly into foil. 3. Broil for 4 minutes, flip, broil 4 more minutes. Remove and set aside. 4. 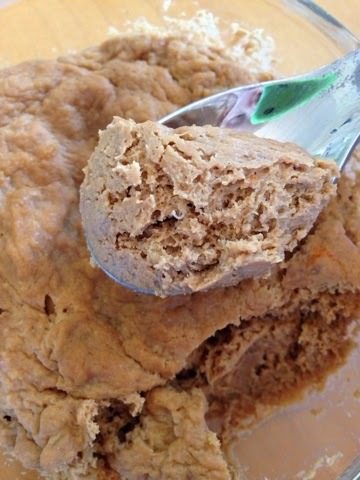 In your food processor, blend tofu, stevia, and vinegar till smooth. 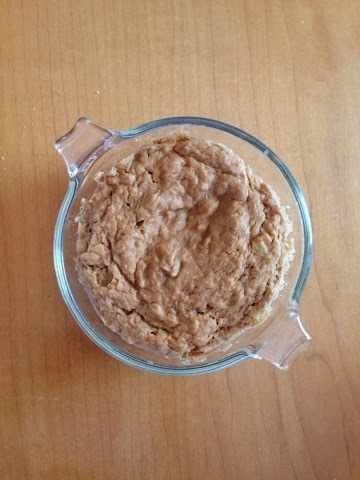 Place in large bowl, add wheat bran/ flaxseed, and cantaloupe chunks. Serve warm. When I was at the vitamin shoppe a few days ago (one of my frequent errands...😂), I succumbed to the all-too-familiar "spend more money in order to use the coupon" thing. Yep, I know. Bad, Anna, bad. BUT. There's a happy ending to this story! 🙌 I was about $10 shy of being able to use my coupon (which expired that same day), so I frantically (per urging of the talented salesman) began searching the shelves for a random $10 item that would allow me to use my beloved coupon. And then it caught my eye: Garden of Life RAW vanilla protein powder...I had been waiting for it to go on sale (which it JUST SO HAPPENED TO BE! )...and now I had a better excuse than ever! Thanks, Mr. Coupon! 😃 so this yummy mug cake was born...enjoy! RAW mug cake. Vegan, Gluten-free. Serves one. 1. Mash your banana very well. Add protein powder and baking powder and mix well until a sticky batter forms. 2. Spoon into small micro save dish and nuke on high for 1 1/2 minutes. Watch closely to make sure it doesn't overflow! 3. Let cool and DIG IN! 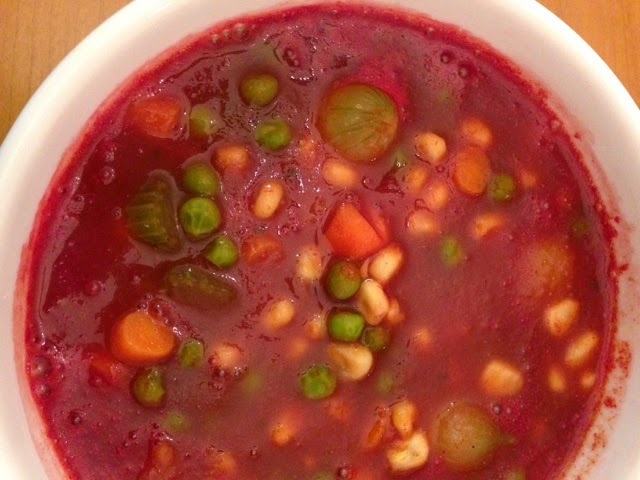 Ah, yes...another "clean out the fridge" soup turned "new recipe for the blog." SCORE! Enjoy! All that veggie goodness! Yum! 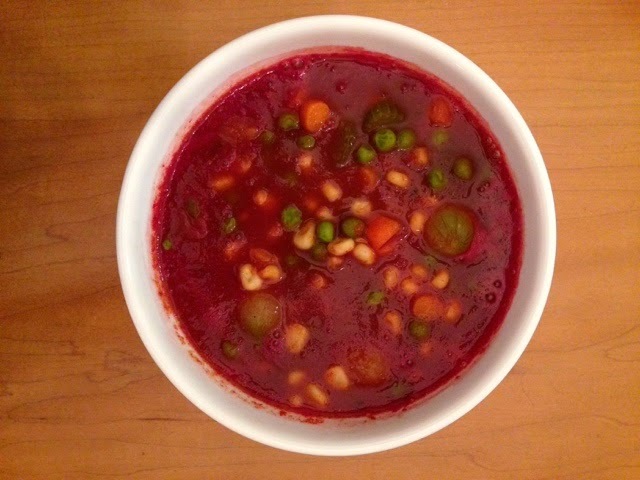 Tomato Vegetable Soup. Vegan, Gluten-free. Serves one. 1. Combine all ingredients in a medium size soup pot and mix well. 2. Bring to a boil and reduce to medium. Simmer 15 minutes, until carrots are soft. Serve warm with crusty bread for dipping. 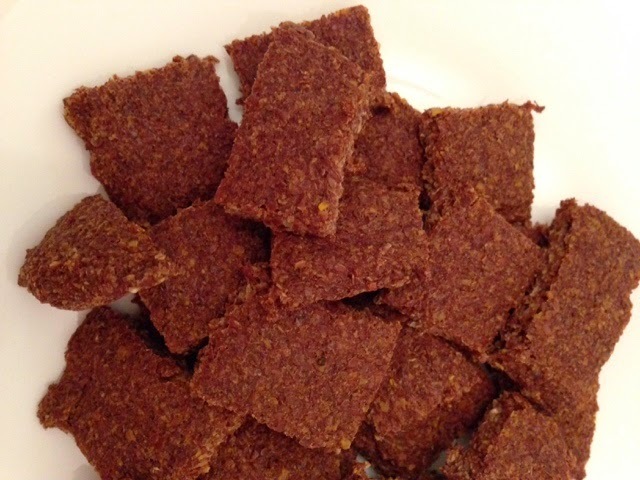 Wheat-less Thins (aka Flax Crackers). 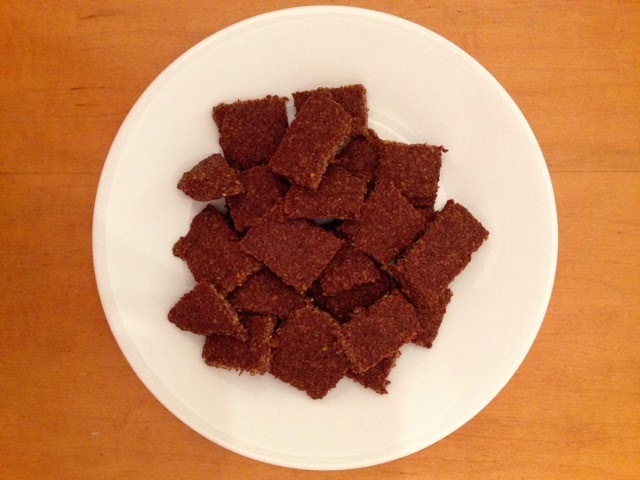 Wheat less Thins (aka Flax Crackers). Vegan, Gluten-free. Serves one. 1. Preheat your oven to 400 degrees F and line a baking sheet with parchment paper. 2. 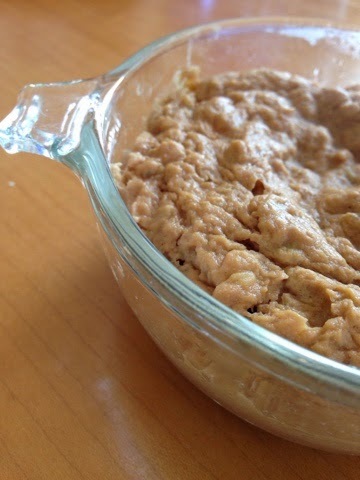 In a small bowl, mix all ingredients together vigorously to form a paste. 3. Spread evenly into parchment and bake uncovered for 20 minutes. Let cool completely before slicing into crackers. Store in the fridge until ready to enjoy. 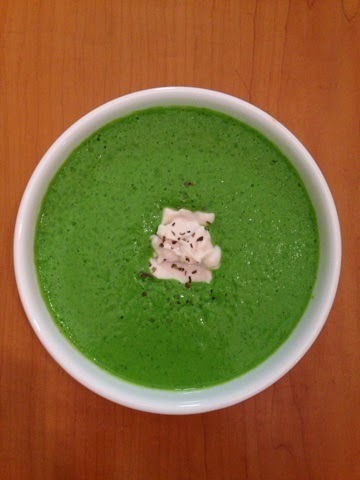 Spring means green food...naturally! 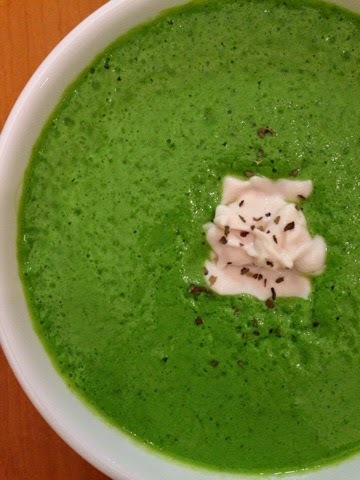 This springy soup is sure to please any critic--sweet, refreshing, super quick...a perfect addition to any salad and sandwich meal. 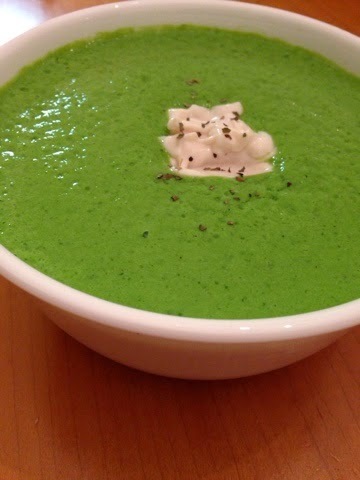 Chilled Cucumber Soup. Vegan, Gluten-free. Serves one. 1. Blend all ingredients in your high speed blender until smooth. Refrigerate until ready to eat. Ssrve chilled, garnished with Nogurt (previous post) and dried basil, if desired. Enjoy! Long time no copycat recipe! 😂 with these luscious crisps, you can GLADLY say sayonara to sugar-laden cereals...yum yum! "Cocoa Crispies." Vegan, Gluten-free. Serves one. 1. Combine all ingredients in a small bowl and mix well. Use as desired! This is honestly hardly a "recipe"...but it's so good it deserves a whole blog post haha! Enjoy! 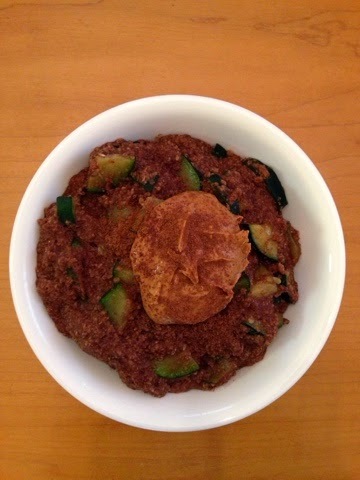 Raw Vegan "Oatmeal". Vegan, Gluten-free. Serves one. 1. 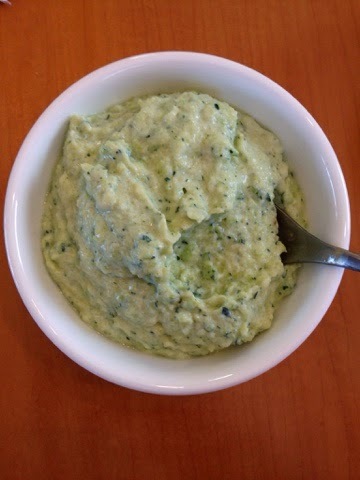 In food processor, combine zucchini and stevia. Pulse until finely chopped (should be the texture of "rice".). 2. 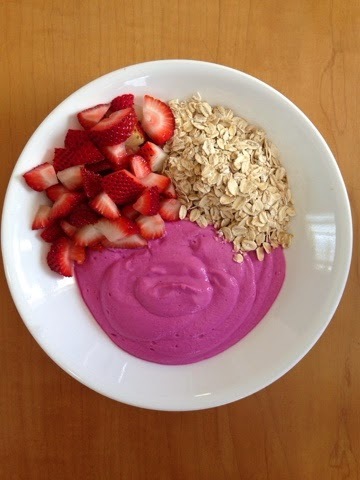 Spoon into bowl and top with protein frosting, peanut butter, berries, gRAWnola, etc. enjoy! It tastes even prettier than it looks! Strawberry Watermelon Beetroot Musli. Vegan, Gluten-free. Serves one. 1. In your mini food processor, combine tofu, beets, stevia, and vinegar. Blend until creamy and smooth. Spoon onto plate. 2. 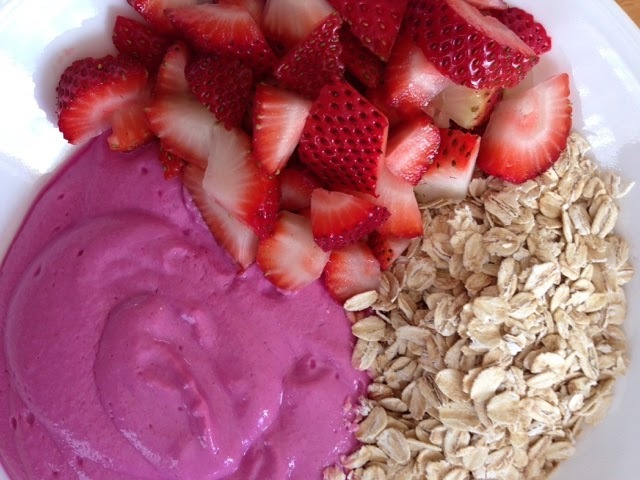 Add raw oats and chopped strawberries and serve! Easy pease and DELISH. Holiday post! : Saint Patty's Day Salsa! 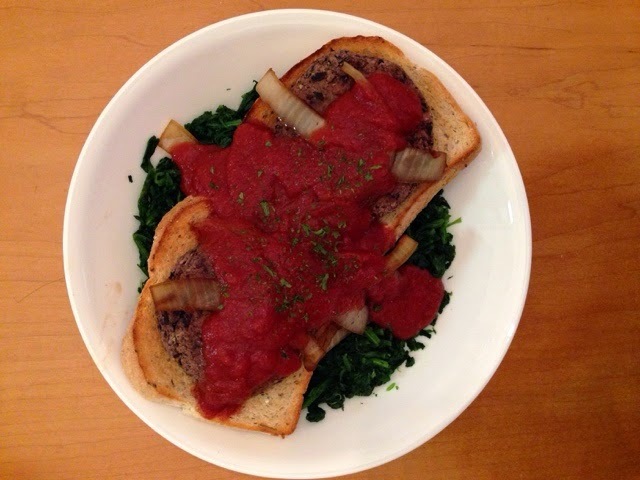 This YUMMO salsa was on my saint PATTYS day dinner menu--and boy, was it GOOOOD! This can also be enjoyed on a regular day, haha...I mean really. When is green food not the best food?! 💚 Enjoy! Saint Patty's Day Salsa! Vegan, Gluten-free. Serves one. 8. Cayenne pepper to taste, depending on heat preferences! 1. 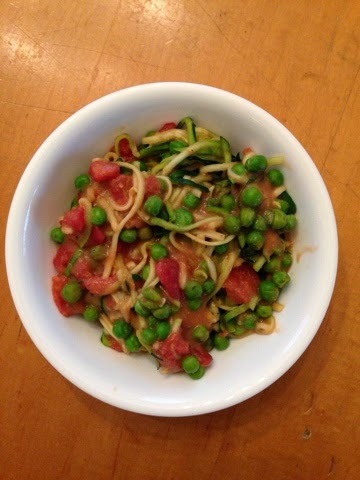 Combine all veggies in a large bowl. 2. Add lime juice, vinegar, and spices and mix well. Serve with homemade corn chips, veggies, or as a salad/pasta topping. Fresh basil. Ahhhhhhh. Basil just screams spring, am I right?! The smell, the sight, the dishes it dons...so springy! This Orange Basil Cream Pudding is absolute bliss. Creamy, citrus-y, basil-y, spring-y deliciousness! Enjoy! 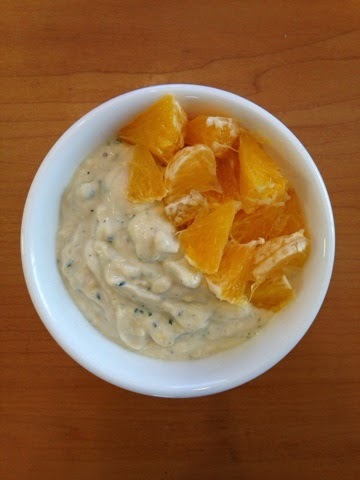 Orange Basil Cream Pudding. Vegan, Gluten-free. Serves one. 1. 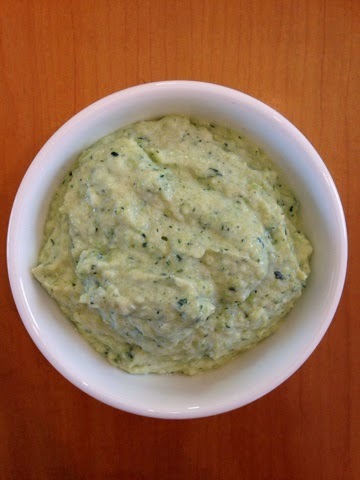 In your food processor, combine tofu, basil, stevia, and 1/2 of Orange (leave other 1/2 for topping). 2. Blend until tofu is smooth. Orange and basil will remain slightly textured. 3. Spoon into bowl and garnish with remaining Orange chunks. Serve! 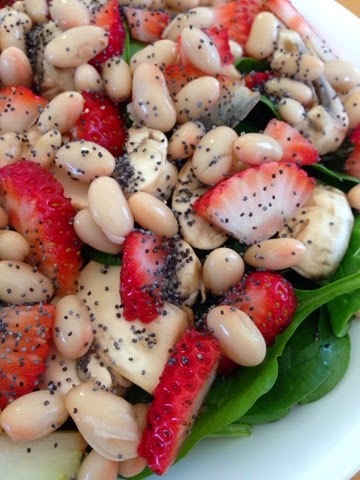 Strawberry Poppyseed Spinach Salad. Vegan, Gluten-free. Serves one. 1. Layer salad ingredients in the order listed. 2. 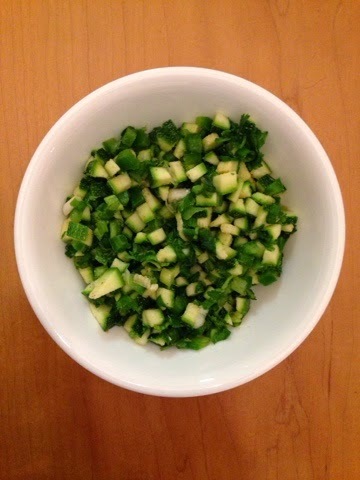 In a small bowl, vigorously whisk vinegar and stevia to make a Vinagrette. Pour over salad and serve. Long overdue recipe AND Holiday Post! 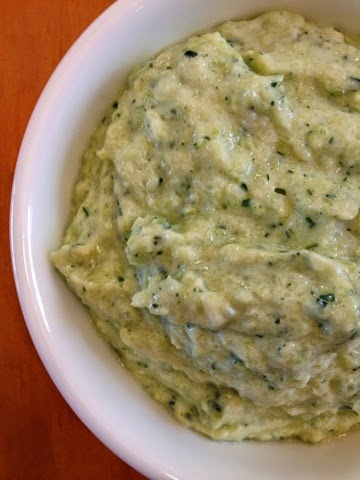 : Zucchini Cream Pudding. I have a confession. I have been withholding this recipe from you guys. Unintentionally, of couse...but, still. Honestly, I make it so much I don't even consider it a "recipe". I simply forgot to blog it! So I apologize to you all. And you will soon see WHY I am apologizing...this. Is. So. Good. But I now realize it's sort of okay that I've kept this from you guys...because it's THE PERFECT SAINT PATRICKS DAY RECIPE! 🍀 fitting, huh?! Everything really does happen for a reason, lol... Enjoy! Zucchini Cream Pudding. Vegan, Gluten-free. Serves one. 1. 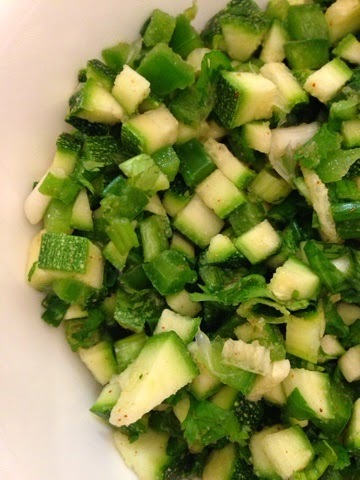 Chop zucchini into small pieces and place in your food processor. Add tofu and stevia and blend until chunky-smooth. Eat alone or serve with toast or Pitas for dipping. Also great as a oatmeal topper! 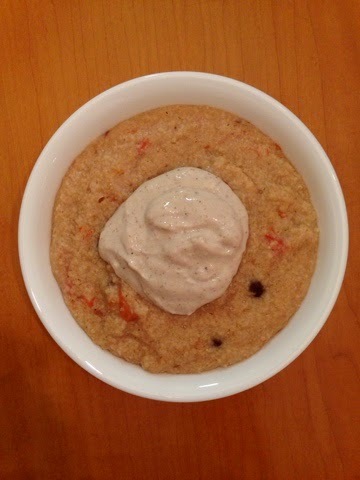 Tomato Raisin Oatmeal with Masala Cream. Not sure what happened here...but it's delicious, and that's all that matters, right?! Give this one a go, guys! 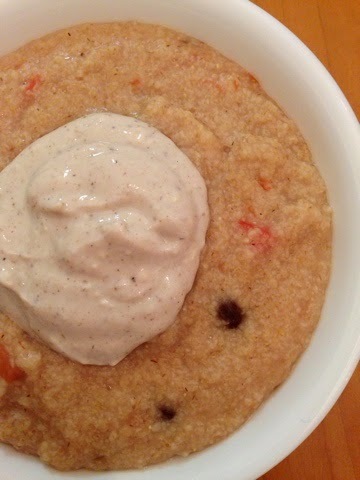 Tomato Raisin Oatmeal with Masala Cream. Vegan, Gluten-free. Serves one. 1. Boil your water. Add raisins and boil for 5 minutes to "plump". 2. Reduce heat to medium and stir in oats and stevia packet. When thick, stir in second cup of water. 3. When thickening, add tomato and vinegar and stir well. Cook 5-7 more minutes, stirring regularly, until desired thickness is obtained. 4. In your food processor, combine tofu, masala spice, aminos, and 1/2 packet stevia. Blend until smooth and spoon over oats. Serve! Cous Cous is one of those foods that I literally grew up eating. 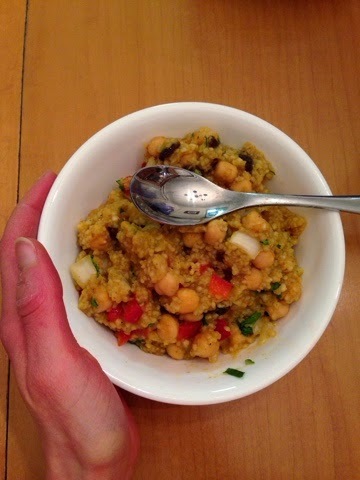 My mom fixed so many international meals for our family, so Cous Cous was a very common grain when I was little. 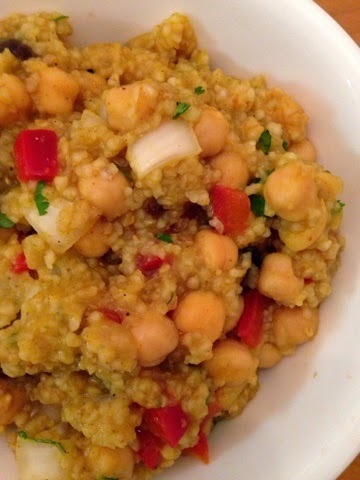 However, when I went vegan (and gluten free), I gave up my bird semolina-based hot cereal. 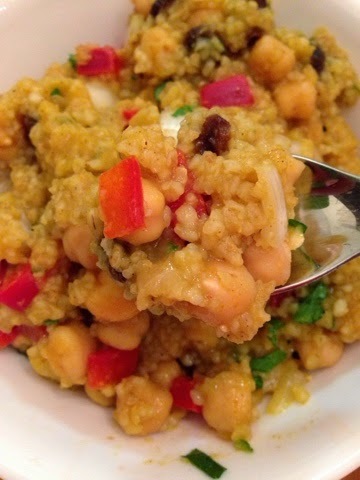 But this story had a happy ending: I FOUND BROWN RICE COUS COUS PEOPLE! Thus, this recipe was born. A new fave! Enjoy! Time to devour. GET IN MA BELLY! 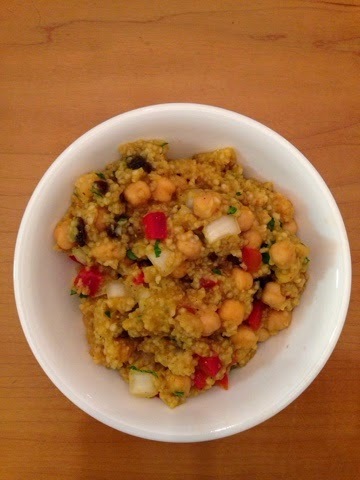 Curried Cous Cous Salad. Vegan, Gluten-free. Serves one. 1. Cook couscous according to package directions and fluff with a fork. Remove from heat and set aside to firm up for a few minutes. 2. Return to heat, along with all ingredients except cilantro, along with 1/2 cup water, and stir together over medium heat. 3. When heated through and water is absorbed, stir in cilantro. It only looks like mud...tastes so bomb! Mudslide Oatmeal. Vegan, Gluten-free. Serves one. 1. Boil your water in a small soup pot. 2. Add Zuke chunks and bring to a boil. 3. Reduce heat to medium and remove from. Usenet. 4. 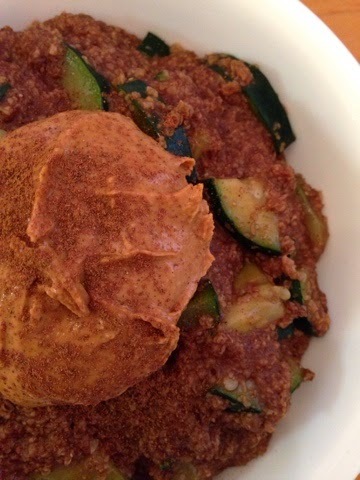 In a separate bowl, mix oats, Carob, and 1/2 tsp cinnamon. 5. Return pot to heat and stir in dry ingredients, along with stevia. 6. Cook, stirring regularly, and adding a little water at a time until desire thickness is reached. 7. Top with PB and cinnamon and enjoy warm. Spicy Italian Black Bean Burger Toasts. I have to be honest. This was NOT meant to end up on this blog! This was one of those famous "what do I have in the fridge that's getting ready to go bad and needs to be used ASAP" creations...again--NOT SUPPOSED TO BE A RECIPE. However. 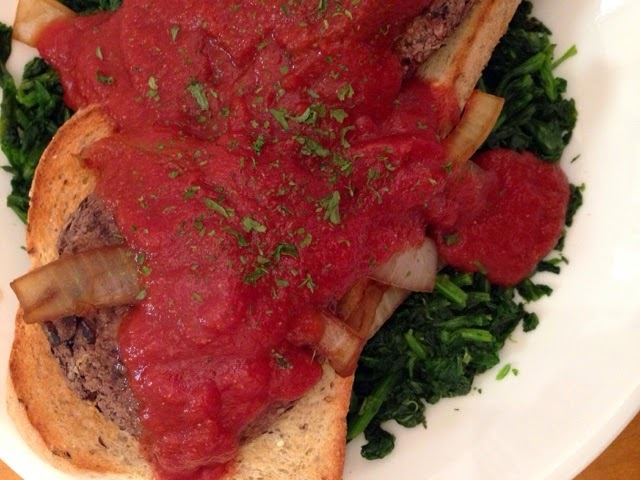 IT IS SO GOOD I HAD TO BLOG IT! You guys will LOVE LOVE LOVE this one--the unique combination of flavors is so so good. I'm guessing gonna predict this one will end up on your list of go-to's. It's sure on mine now! Spicy Italian Black Bean Burger Toasts. Vegan, Gluten-free. Serves one. 1. 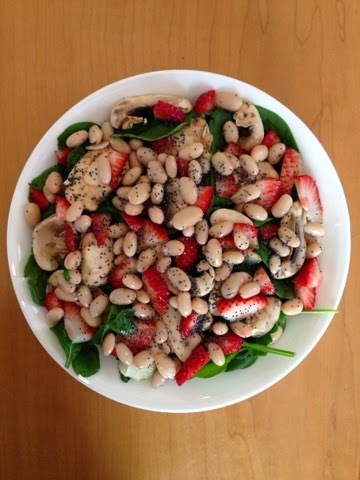 Place frozen spinach on a large plate and pop in the micro for 2 minutes. Top with toasts. 2. In a medium size bowl, mash beans with all spices using the back of a spoon. 3. Form two even patties using your hands place on parchment lined baking sheet and bake at 350 for 15 minutes. Place on top of toasts. 4. Sauté sliced onion in 1 T aminos until caramelized. Place on top of burgers. 5. In a small soup pot, heat tomato sauce with aminos and spices (onion, garlic, and chipotle) until hot. 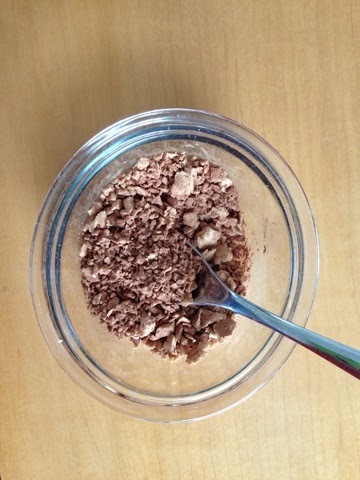 Spoon over plate and sprinkle with dried (OR FRESH!) parsley. I always say the most random recipes are the most delish. This recipe is SUCH proof of that statement! So simple and quick, and so delicious. Great with a side salad and sandwich. Enjoy! 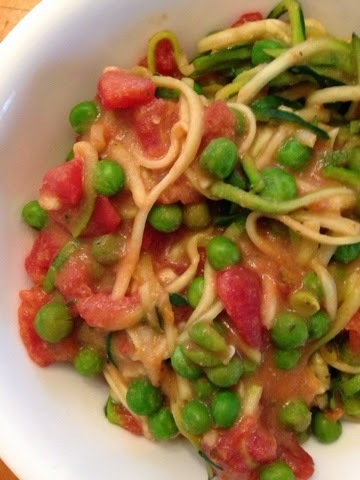 Dijon Style Zucchini Pasta. Vegan, Gluten-free. Serves one. 2. Stir well over medium heat to thoroughly combine. 3. Continue cooking, stirring regularly, until heated through. 4. Serve in small bowl and enjoy! A soup for spring (well, sorta spring...): Chilled Cantaloupe Banana Soup. Soup is probably one of my favorite things in the world to make. Soup of all kinds--hearty, silky, light, hot, cold, spicy, sweet, chunky, you name it...I love it! 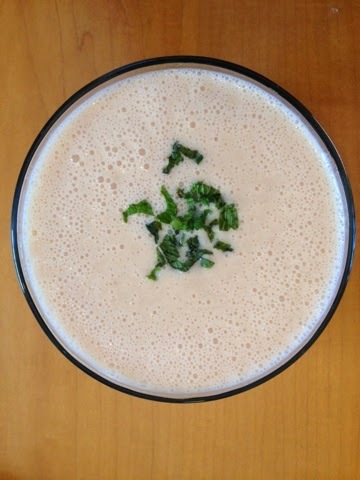 Ever since I got my vitamix last February, I've been kind of obsessed with its blending powers...thus, and increased obsession with homemade soups! We've had pretty wacky weagher this week here in central Va...it was 60 degrees AND SUNNY on Monday! But I'm not complaining--bring it ON! Needless to say, I was feeling super springy after my run Monday morning, and craving a nice light and cold breakfast. So...soup for brekkie? Yup. You guys shouldn't be surprised...I'm pretty traditional after all, right?! 😂😜 Enjoy! Yes. I think yes indeed. Chilled Cantaloupe Banana Soup. Vegan, gluten-free. Serves one. 1. Combine first 5 ingredients in your vitamix or other high speed blender. 2. Starting on low, slowly work up to high speed, blending until perfectly smooth. If you prefer a thinner soup, add water through the top spout as you blend. 3. 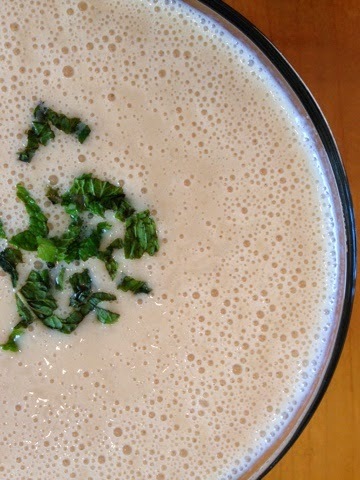 Pour into large bowl and garnish with chopped mint. YUMM!